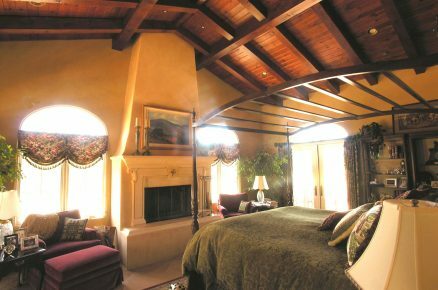 Clos Pepe - Lawrence Thompson Architects, INC.
"An Italian villa in a vineyard"
Looking east at the Garage, Bed Wing and Master Bedroom. This 7500 sf. 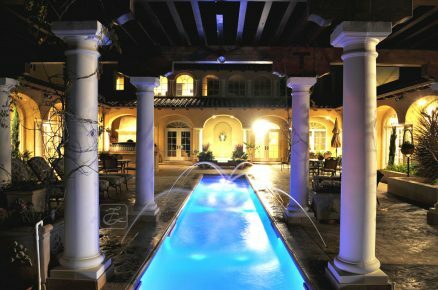 two story "Tuscan" villa is in the heart of Clos Pepe on Highway 246, a 40 acre vineyard and boutique winery in the rolling hills east of Lompoc. A large central court was created with an arcaded surround, colonnaded trellis, lap pool, pizza oven and wall fountain. 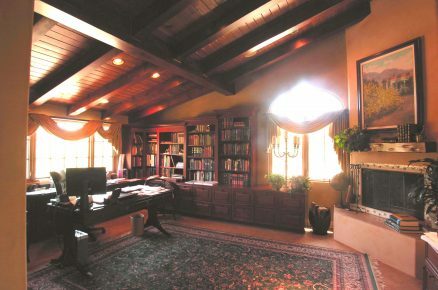 The Living and Dining Rooms are back-to-back, with a long skylight at the gable peak flooding the dark sides of these rooms, cutting glare from view windows. 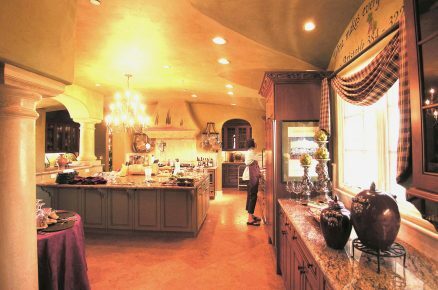 The central kitchen/breakfast area is featured, with a fireplace, sitting area, and scullery.